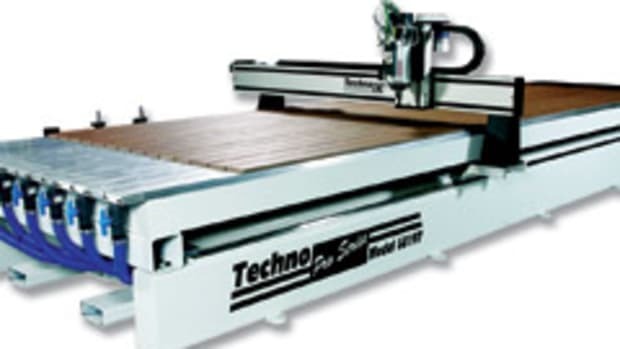 Komo Machine added the XL Series of CNC routers, available in three models: Xtreme XL, Solution XL and Fusion XL. 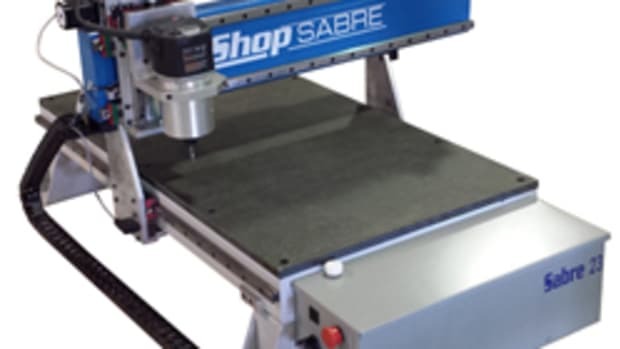 According to the company, the Xtreme XL is a fixed-bridge CNC router, available in standard table sizes are 5’ x 10’ or 5’ x 12’. 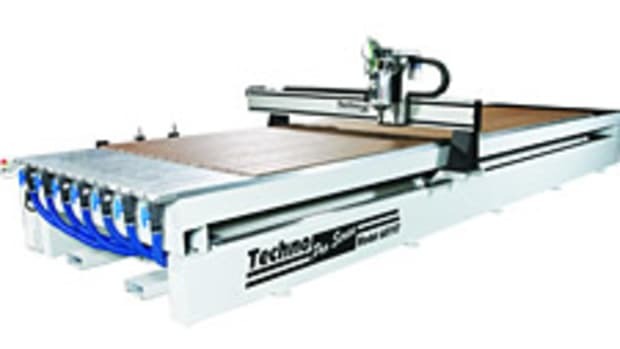 The Solution XL is a moving gantry CNC router, available in standard table sizes are 5’ x 10’, 5’ x 12’ and 5’ x 24’. 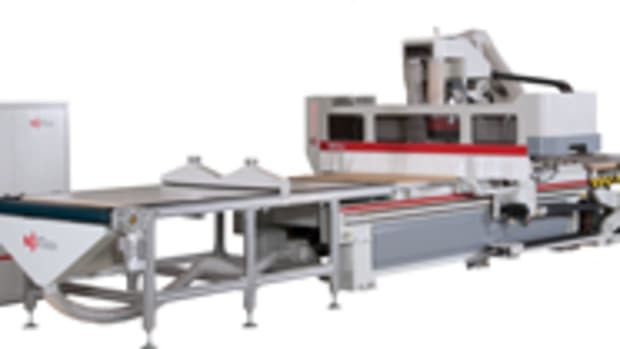 With an extended gantry, it’s also available in table widths of 8’, 10’ or 12’. 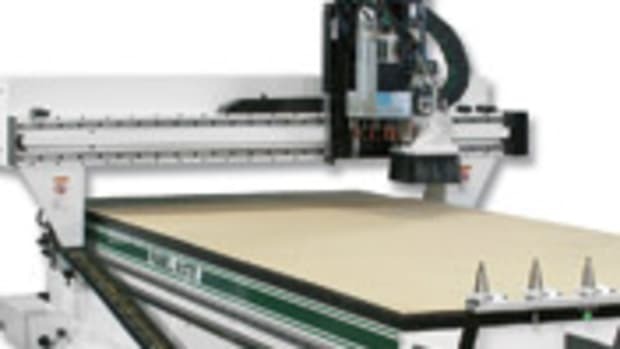 The company says the Fusion XL is a more robust fixed-bridge CNC router and will comfortably handle common 5’ wide table requirements but can offer an optional upgrade to a 6’ wide table for a greater work surface. 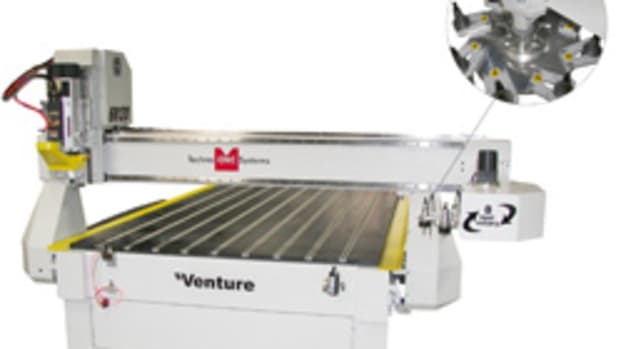 Both the Xtreme XL and Solution XL come standard with Fanuc control system and 18-hp fan-cooled spindle and a 12-pocket tool changer. 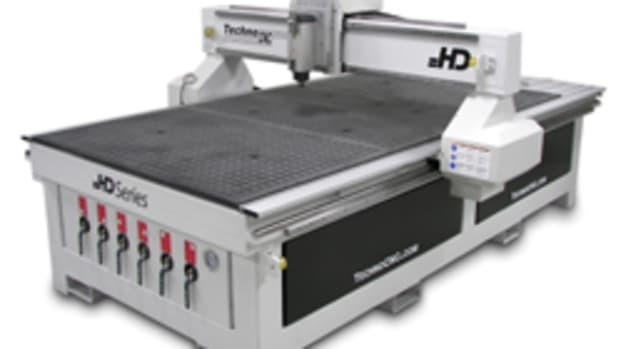 The Fusion XL comes standard with Fanuc control system and 18-hp fan-cooled spindle and a 15-pocket tool changer. 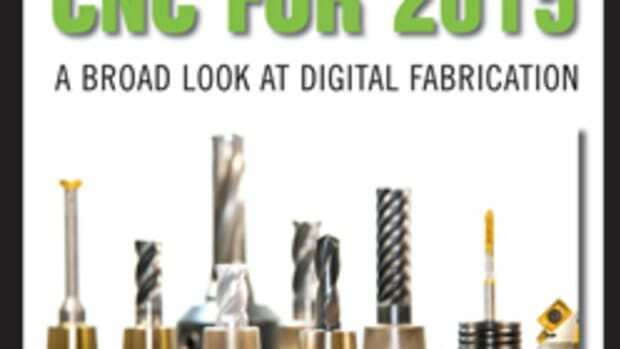 Upgrade options for all three units include boring blocks, C-axis, mist coolant and material handling system with the addition of liquid cooled spindles available on the Fusion XL.